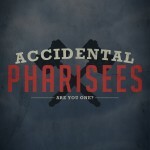 In this series, Accidental Pharisees, we take a look at the small areas of our lives in which we might just be a pharisee and not even know it. Join us as we walk through some important lessons regarding our heart and the Lord. Just because someone is different doesn’t mean they aren’t doing something right….